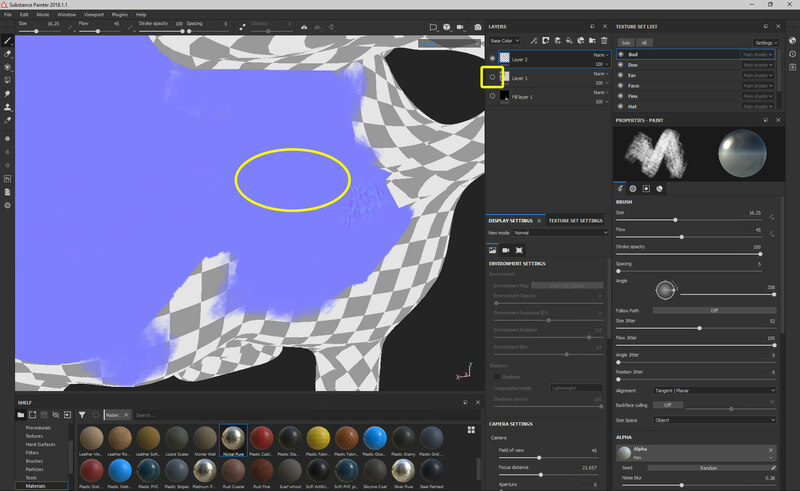 Just curious if there's any particular reason why it's working in Designer but not Painter? Also if it's something that is slated to be added anytime soon? I figured it out. I had to select "Normal" in the drop down in the Layers panel, then change the compositing mode for the layer to "Normal" (not to be confused with "Normal"). 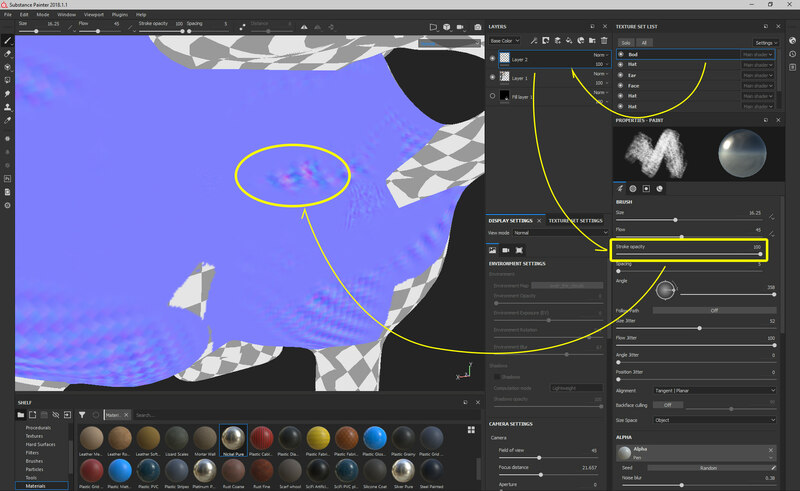 By default layers in the Normal channel are set to "Normal map detail" (NMdt) in the compositing mode dropdown. Oh okay, I tried saving as a PSD and I see it saves out the alpha channel as a mask, but it's still only the object. Is there a way to save the alpha for the glare as well? Nevermind, found it in the Camera settings.